Two exciting, action filled fantasy novels in one ebook. You want dragons? Well, you have them in spades! The ebook is in pdf format and is DRM-free so it can be read on any device that can display pdf files! Someone is out to assassinate young eighteen year old Zoran. After the third attempt, he flees his father’s Castle Dorumova. His father, Baron Kazimir, is the evil Baron, a despot intent on conquering all of the planet called Adapazan. Hiding his surname, Zoran becomes an apprentice to the Archmage Oldrich. On another planet where dragons make their home, starvation has become a serious problem, due to over population. Thus, dragons are seeking a new home, a new planet where there is an abundance of food. Besides learning to be a mage, Zoran is also a duska by birth, one who can Shadow Walk between any of the planets in the Federation of Planets. Only a duska can become a baron and thus rule a planet. Each planet has its own Circle of Ascension which gives the barons’ their power. Do dragons and humans mix? Can Zoran stop his evil father from conquering all of the world? Dragons come to his aid. But why? 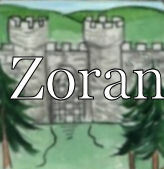 Follow the exploits and adventures of Zoran and the dragons. Read Volume 1 Chapter 1 here. Twenty years have passed peacefully for Zoran and Zdenka. However, the other barons made deals with the other dragons on Voss. Now reds, blacks, browns, blues, greys, and greens share the sixteen worlds of the Federation of Planets. While many of these dragons are neutral towards the humans who gave them sanctuary on their worlds, some are not. It began with Zoran’s enemy barons making deals with the red and black dragons to raid and steal his valuable gemstone. Bit by bit, the raids escalate. When Zoran takes preventative measures, he discovers the dragons have been raiding other worlds as well. Bit by bit, the conflict escalates into open war between humans and dragons, with Zoran and his Gold Dragon friends trying hard to prevent it. In the end, they are not successful and an all out war begins. Still, he does not want to see genocide of the dragon race. Complicating matters, the long-lived dragons only breed once in ten years. With their numbers being steadily reduced, the reds and blacks concoct a scheme to inter-species breed with human females, who die giving birth to the red or black baby dragon. Zoran and friends work tirelessly to rescue these kidnapped women and save them from a certain death. In the process, their ancient history unfolds from Bandar Zar’s early journals found on Voss. From there, Zoran learns how the dragons came to Voss in the first place and hatches a plan to send them back. The book is in Adobe pdf format. If you do not have the Adobe Reader, Get Adobe Reader by clicking this link. Artwork by Crooked Willow Studios. Copyright 2002 - 2013 by Vic Broquard. Complete set of ebooks to learn C++ Programming from beginning to advanced levels, including game programming, plus exciting, action-filled Science Fiction and Fantasy Novels.